DEAN AND ME: A Love Story. Jerry Lewis and James Kaplan. Doubleday; 2005. It seems that half the people who knew Dean Martin are writing books about him these days, so why shouldn't Jerry Lewis – who probably has the most right – join the club? 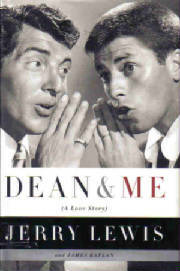 While there are no shocking revelations in this book – and Lewis penned an autobiography including his feelings about Martin a few years ago while his ex-partner was still alive – this is a well-done, interesting, and ultimately moving memoir of his years with, and impressions of, Dean Martin, whom he clearly adored but whose emotional distance he found troubling. Lewis confirms many of the stories about the pair, admits that he himself could be difficult and egomaniacal, but to his credit, doesn't use the book merely as an excuse to settle scores or remind us what a genius he is, although he does recreate his glory days [and one senses the severe disappointment he feels now that they are over; Lewis clearly belongs to the club that believes that celebrities are somebodies and the rest of the world are nobodies.] Lewis is no psychologist, of course, and his comments on Dean's early life and family have to be taken with a grain of salt. Just because Martin's family wasn't overly affectionate [or suffocating] on the surface, if true, didn't mean they weren't very loving underneath it all. Lewis claims that he paid the songwriters $30,000 of his own money to come up with a hit for Martin, which turned out to be That's Amore. 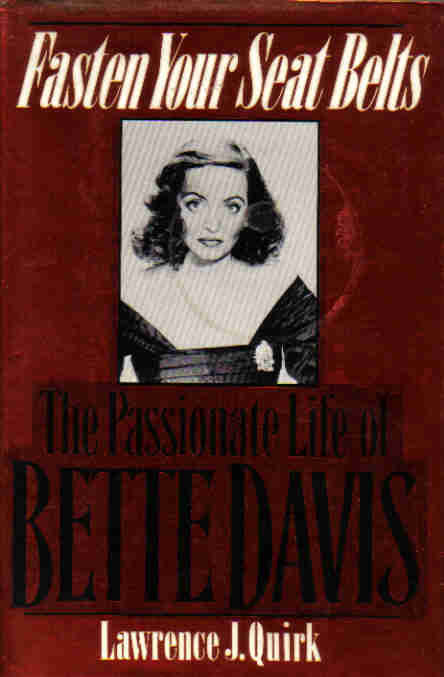 The book is peppered with his impressions of various show biz personalities: Lolly Parsons was “a fat, old has been who couldn't make it in Hollywood," Radie Harris of The Hollywood Reporter was “monkey-faced” and Peter Lawford “would have been a Star Search loser.” But the book, while a good read, doesn't answer the biggest question of all: Why on earth did Gloria DeHaven bother to sleep with Jerry Lewis when she was married to “handsome hunk” John Payne at the time? 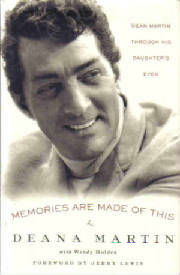 MEMORIES ARE MADE OF THIS: Dean Martin Through His Daughter's Eyes. Deana Martin with Wendy Holden. This is an interesting and readable memoir although much of it will already be familiar – over-familiar – to anyone who's interested in Dean Martin. 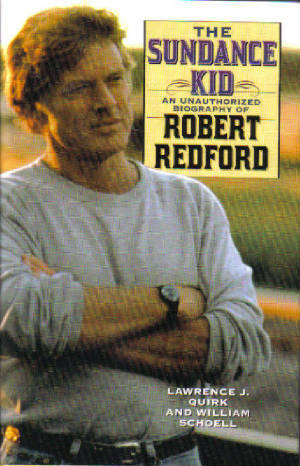 Brother Ricci's book was a very slender and rather insignificant volume, but apparently Deana has had her co-author skim through bios of her father and pad out her own book with other authors' research [some of which she gets wrong; Mr. Ricco was not a TV series but her father's final film.]. She even trots out some anecdotes from Kitty Kelley that were – rightly or wrongly -- labeled suspect many years ago. Deana's ultimate and honest take on her father: “He wasn't a good father, but he was a good man.” The more original sections of the book deal with Deana's early days growing up with Martin's first, discarded wife, Betty, who was always a tragic and pitiable figure. After being packed up and taken to her father's house with his second wife Jeanne by her aunt, Deana hardly ever saw Betty after that, or, apparently, wanted to. [To be fair, Betty never moved on after losing Dean and let liquor become her lover.] Soon Martin was buying his daughter Jaguars that she would casually give to doormen when they broke down – what did she need Betty for? Like most Hollywood memoirs, this one also drags in an acquaintanceship with Charles Manson and the suggestion that the author might have been a target. It is also full of a certain amount of b.s., such as when Deana suggests that she lost out on a role in The Graduate because she was planning on going to school in London – but her agent had only had her penciled in for a test – that's no guarantee she would actually have gotten the role instead of Katherine Ross. Deana seems to find it admirable that her father [supposedly] helped cover up an assault by Frank Sinatra's thugs on a man who later required cranial surgery [nobody ever said that Martin nor any of his brood were exactly intellectuals; Deana's son was the first in the entire family to ever graduate college!]. Deana often tells how she was angry at Jeanne or another member of her family but now she understands their point of view blah blah blah and forgives them – don't be fooled, the lady is settling scores, such as when she describes best pal Liza Minelli as confusing her with Dena Kaye. And her half-brother Ricci probably won't thank her for printing that he was once so broke he had to auction off his father's pinky ring at Sotheby's. Deana either doesn't see – or doesn't want to see – that some of her father's fans, such as those who build shrines to him in their living room, need to get a life! Still, what comes across most strongly in this book is a sense of loneliness: the loneliness of feeling emotionally distant from someone you love, or feeling cut out or off from people you consider your family. The greatest loneliness, of course, was not Deana's, but Betty Martin's, who wasn't even invited to her daughter's wedding. In bookstores July 2006 -- or click on photo to order online!